Honny Singh is a young man, just about to hit thirty, with a kind and calm air about him, but his journey to become the man he is today was not an easy one. He still bears the emotional scars of a complicated childhood, a difficult journey from India to Italy and the trouble of finding a sense of belonging that his experience has left him with. Today, however, Honny can count on a family and a region – Piedmont – which together have given him more than he could have imagined. Honny, tell us about your story. 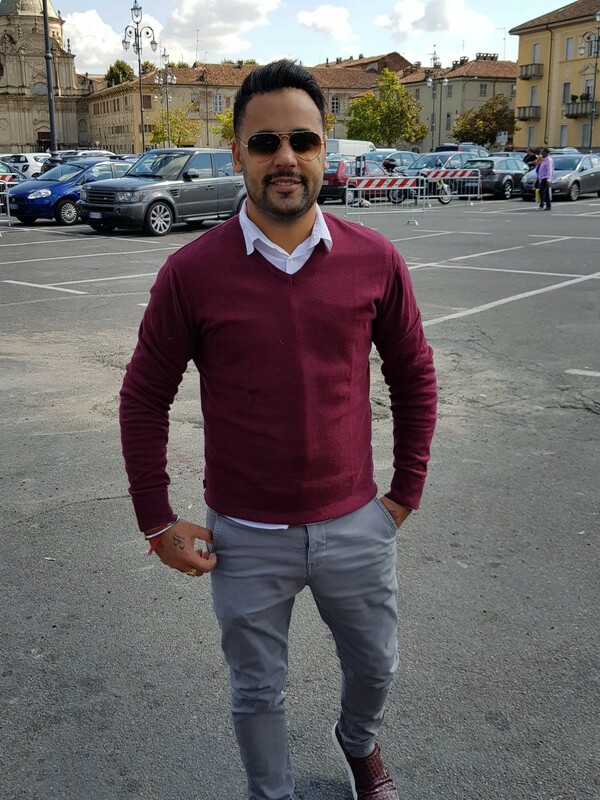 My name is Honny Singh, I’m almost 30 and I moved to Italy from India with my brother in 2006. It was really hard at the start. Imagine not just being in a different country but in a foreign continent, where you can’t speak the language and don’t know anything about the people who live there. To top it all off, we lived alone with our father. He taught us everything, but there were many times when we had to make it on our own without him. After this our mother also came over, I found a job and the ball started rolling. I began to learn the language and meet people and my life began to fall into place. I met my wife Sara at an Indian dance course and we had a beautiful baby girl who is now 2 years old. Food represents a really strong bond for our community. A bond with India obviously, our country, our home. We nearly always cook traditional Indian food, and the ingredients are readily-available as my mother sells them in her shop. Some of these include well-known chicken curry dishes but also rasgulla, a delicious dessert made with little balls of cheese cooked in cardamom syrup, water and sugar. We also cook Indian-Italian fusion food, but I have to admit that my daughter loves spicy food! How do you stay in contact with your community and how do you engage with your newfound Piedmontese community? We often take part in small local events like traditional Indian dance courses, parties and dinner parties with Indian food. In this way we can teach the people of Piedmont about Indian culture as food plays a key part in connecting communities and foreign counties. Thanks to this intercultural element, Italy has become my home. A good example of this is our relationship with the Sikh community in Marine (Cuneo) who we meet with every Sunday to pray and eat. From the Migranti Film Festival to Terra Madre: what would you like to bring to the Salone del Gusto 2018? I would like to bring my story and the story of my community to Terra Madre, a story filled with difficulties that were then overcome, a story filled with old and new friendships, a story filled with food and sharing. Just like at the Migranti Film Festival I would like to teach people about our food and meet people from all over the world, including groups coming from India and migrants already living in Piedmont. In short, creating links between countries all over the world that all cross paths in Piedmont, my second home.